Having been friends for over 20 years and having worked together within a successful creative industry, Diane and Stephanie based in Norfolk formed Bespoke Bouquets to bring their creative talents together to produce high quality couture wedding bouquets as a compelling alternative to traditional flower bouquets. 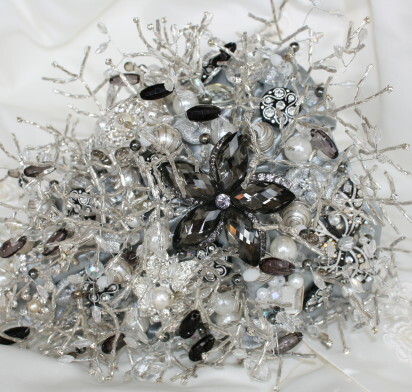 Since our beginning we have pioneered new design concepts, with our alternative flowers made from beads, diamantes and crystals through to our luxurious brooch bouquets. 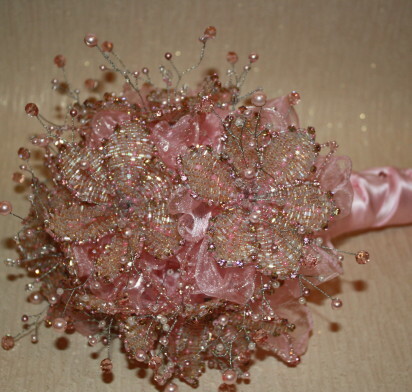 Each bouquet we create is a unique work and can be cherished and displayed for as long as your memories. We believe our bouquets are beautiful and unique. We believe their details will surprise you the closer you look at them. We like to do things differently, we spend hours hand wiring each item carefully and each design can take weeks to create. Whatever your request we love designing and creating unique alternative bouquets with our discerning brides-to-be. We truly love what we do, so if you can’t find what your after please contact us at info@bespoke-bouquets.co.uk and we will go out of our way to make your dreams come true.